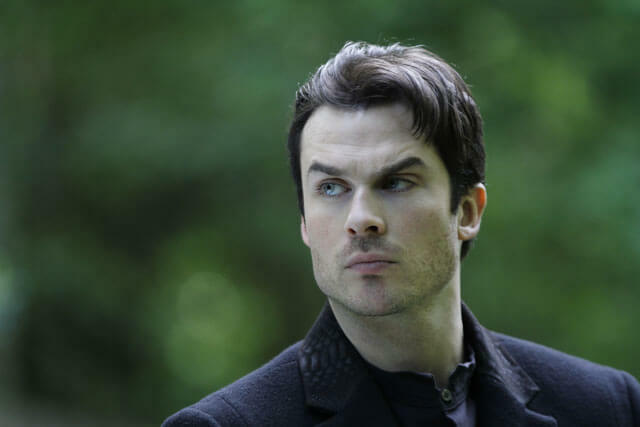 Anchor Bay’s released a new trailer for The Anomaly starring The Vampire Diaries‘ Ian Somerhalder. The action thriller was directed by Noel Clarke who also stars in the film along with Somerhalder, Alexis Knapp, Art Parkinson, Luke Hemsworth, and Brian Cox. Production wrapped on The Anomaly back in 2013 and the movie opened in the UK in 2014. Anchor Bay plans a U.S. theatrical and digital HD release on September 25, 2015, with The Anomaly available on DVD, Blu-ray, and On Demand on October 6th. ​Traumatized ex-soldier Reeve (Clarke) wakes up in the back of a moving van alongside a young boy (Parkinson) held prisoner. But after helping the boy escape, he comes to the terrifying conclusion that he’s the kidnapper. Even more startling, five years have passed since he was last awake. Ryan soon learns that he’s caught up in a futuristic conspiracy known as “Anomaly,” Ryan’s only connection with reality is the dogged pursuit of Ryan by the elegant but sinister Harkin Langham (Somerhalder), who –when he’s not trying to kill Ryan – explains how to survive his blackouts, lasting exactly 9 minutes and 47 seconds. As he negotiates switching between parallel universes, Ryan teams up with the mysterious “Dana” (Knapp) to start unraveling the life-threatening mystery in which he’s the explosive center. With Harkin dogging and thwarting his every turn, Ryan must summon all his will to challenge his programmed destiny and regain his humanity.